The University of Utah Utes celebrate a 30-7 victory over the University of Colorado Buffaloes at Folsom Field in Boulder, CO Saturday, Nov. 17, 2018. (Photo by: Justin Prather | The Utah Chronicle). Utah weather consists of all four seasons, from the heated 90-degree summers to the 10-degree winters. Of course, we can’t forget what Utah is best known for as well: the best snow on Earth. Even though some of us are loving the cold, snowy winters and being able to go skiing at various ski resorts all winter long, there are some disadvantages that come from the snow as well. For example, the snow may cause there to be more accidents and traffic on the roads of Salt Lake City. 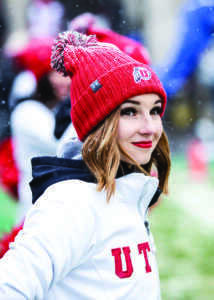 Just as the snow affects our everyday lives on the streets of Salt Lake City, it also affects the outdoor teams at the University of Utah as well. 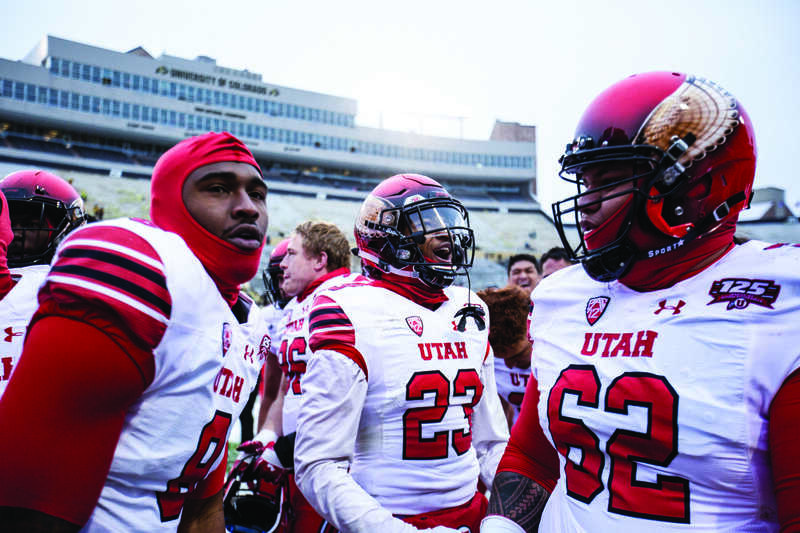 Teams like track and field, softball and baseball that aren’t suited to be played in the colder weather have learned to adapt to the snow and have learned to look at Utah’s weather as an advantage rather than a disadvantage. As the U has grown into a more well-known school throughout the United States, there have been students coming to Utah from all around the nation and the world. Specifically, on some sports teams, students have had to learn how to practice their particular sport in new weather conditions. Utah cheer team in the snow at Folsom Field in Boulder, CO Saturday, Nov. 17, 2018. Utah has taken students like Martin who have learned to adapt to the weather changes in Utah. The Utes have also added members to the team from states that have similar weather patterns to Utah, who have not had any problems at all with the weather. Of course, there will be some days that may be difficult to continue practice outdoors. The Utes track team has found different ways that they are able to adapt to the snowy and rainy weather while still making their practices beneficial to the team. So far this season, the Utah track team has not needed to go up to the Olympic Oval to practice, but they have used that facility in the past during the rough snowy winter seasons. At the Olympic Oval, the Utes are able to do most of their regular routine which allows them to still have a worthwhile practice as a team. University of Utah sophomore defensive back Jaylon Johnson (1) gets yards on a interception against the University of Colorado in Boulder, CO Saturday, Nov. 17, 2018. Some may say that practicing in Utah can be a disadvantage compared to the teams that are practicing in different states, but the Utah women’s track team believes that practicing in Utah can be more of an advantage for them compared to other schools. Competing against teams from different states, it is easy to think of the advantages and disadvantages each state has in their weather differences. 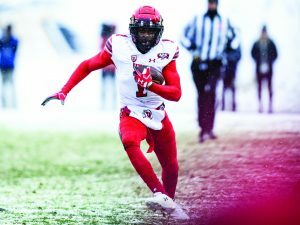 The Utes have taken the weather changes throughout the year more as an advantage to the team rather than looking at it as a problem. Rather than the natural weather changes that occur all year, the one problem that has impacted sports teams in Utah the most has been the pollution and air quality which has an effect on the health of the players. Overall, the women’s track team has made the most out of adapting to the weather changes throughout the year. They have found that the hardest time for them to practice is not actually coming from really snowy or rainy days, but it is actually more difficult to practice in times where the air quality is really bad. They have learned to find ways to make the most out of the weather and don’t allow for it to become a disadvantage for their team.